It is widely acknowledged that limited gender constructs and highly patriarchal social structures, the kind that are prevalent in the Middle East, are often harmful to women. Across the spectrum of thought and knowledge—from columnists like New York Times' Nicholas Kristoff to 2010 Time 100’s Reem Al Numery—we have all become familiar with how harmful the effects of male-centric, male-dominant societies can be to women. The questions then become: How do these constructs effect men? How does the amplification of the importance of men as a group effect men as individuals? Are the gender constructs and societal norms that are so often harmful to women exclusively beneficial to men, or does some harm come to men as well? 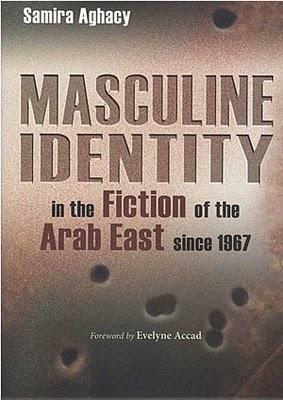 In Masculine Identity in the Fiction of the Arab East Since 1967, Samira Aghacy attempts to answer these questions. While her analysis focuses on fiction, there is no denying that the truth is often found in what has been imagined. The stories constructed simplify the present being experienced, often making it less personal and more manageable. By surveying the fiction written in what she calls the "Arab East" (Lebanon, Jordan, Palestine, Syria, and Iraq) after the various wars of 1967 (the Six-Day War with Israel, the state breakdown in Lebanon, etc.) caused a nadir in the region, Aghacy brings to the fore men’s vision of their constructs. Aghacy emphasizes her identification with a view of the world that sees masculinity as operating independently of men, at times. Thus, men can be victims of masculine societal norms. In this light, the archetypes Aghacy finds in the literature are both abusers and abused, those who inflict and enforce societal norms of masculinity unto others and those who are the Others. The writings she examined also use male stereotypes to make judgments about their societies. According to Aghacy, in a story a dysfunctional male may represent a dysfunctional state, an oppressive male can represent an oppressive state, etc. Viewing the world through a feminist lens, it is easy to forget the effect of repressive structures on men. Masculinity, which so often limits women, can also limit men, and often profoundly so. While the experience is in no way comparable, patriarchal structures are torturous in a distinct way for all members of the patriarchy.